Rudi’s Painting Service is one of the most experienced and trusted painting and decorating services in the Hills District and Sydney, We take great pride in the quality and affordability of our painting and decorating services. With over 30 years of experience, we are ready to take on painting projects of any size. Our services include painting new and old buildings from residential homes, units and town houses to apartment buildings and also painting commercial building and offices. Rudi’s Painting Service guarantees a top quality painting job, competitive prices and customer satisfaction. We produce impeccably renovated houses to customers who want to add value to their homes or wish to just live comfortably under their immaculately renovated homes for a long time. We also do a large amount of work for builders directly. Transforming the drab and mundane exterior of buildings into elegant and vibrant finishes with rendering that exude an ambiance of beauty and style is our trade. Our work attracts maximum appeal and adds value to any home we work on in quick time and at the least cost. Welcome!! Jimmy Cricket is an individual, fun and unique brand where we create our own products and have also collaborated with some amazing artists from all around the world. 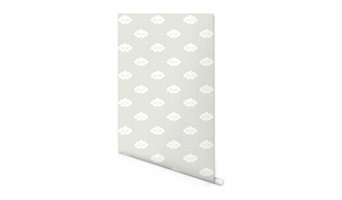 Currently we are selling a beautiful collection of wallpapers which are printed here in Australia. We also specialise in other home decor products including wall stickers and our newest range of 100% New Zealand wool rugs. Our stock will be updated regularly so please come back from time to time to see what new and exciting products we have to offer. C & CS Parpis painting and decorating we are located in Hoxton park SYDNEY, WE DO ALL TYPES OF DOMESTIC WORK AND COMMERCIAL WE COVER ALL AREAS IN SYDNEY . WANT A FRIENDLY TEAM OF PAINTERS TO PAINT YOUR HOUSE,UNIT,GRANNYFLAT,EXTENSIONS BUILDING OFFICES AND FACTORYS GIVE US A call or send us a message . C AND CS PARPIS PAINTING TODAY WE’LL GIVE YOU A FREE QUOTE.WE FOCUS ON SURFACE PREPARATION THE BEST MATERIALS . We are a polite and friendly father and son professional painter’s team with over 30+ years combined experience. We offer a premium, reliable and efficient painting service to residential, commercial, industrial and strata clientele throughout Sydney's Northern Beaches and surrounding areas. Seascape Painting & Decorating are fully licensed and insured and all our work comes with a guarantee. We are punctual, offer clean quality work and are time efficient. 100% guarantee on product and workmanship. Envy Painting Services always give every project the special attention it deserves. Whether it is a single room, house, small commercial premises, interior or exterior job, they guarantee you'll be happy with the results. They understand what you want and enjoy bringing your ideas to life - who doesn't love impressing friends and family with a new home makeover! They have over 25 years of experience in painting and decorating, adhering to a high standard of quality workmanship at all times. They're reliability and customer satisfaction rate is outstanding too. And the only job evidence that will be left behind is that of the newly painted finished project! Only the best materials and equipment are used and if a minor repair needs doing - that's no problem either. They're only too happy to provide you with an obligation free quote too - so call Jeff and find out more about the Envy difference. Invision Painting and Decorating began over 15 years ago as a small business with one painter. Central Coast homes and businesses have been impressed ever since and our one-man-show has now grown into a successful company. We strive to achieve professionalism and hold good customer relationships with all of our clients. We are constantly updating our training and skills and can provide you with the most-up-to-date advice on colour schemes and trends. Adsum Colour is a painting Contractors Company for both commercial and residential focused on providing quality service at affordable prices. At Adsum Colour we pride ourselves on the quality of our workmanship. 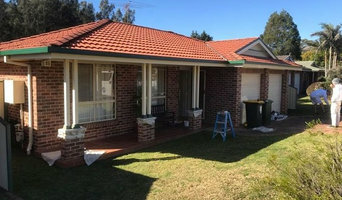 In our 3 years as a leading painting and decorating company we have serviced many happy and repeat customers here in Western Sydney and Blue Mountains. We work around tour time schedule so that there is minimal disruption. We are passionate about delivering high quality services that add sophistication to your office, a burst of fun to your café or make your business stand out on the streets of Penrith! Our commercial painters and industrial painters are highly trained and qualified to tackle all your painting needs. Have the modern home you've always dreamed of! Our house painters and home decorators are dedicated to providing you with fantastic services and advice to create a fresh, vibrant space. Our interior painters understand that your home is your greatest asset, which is why we always treat your property with the utmost respect. Before starting a job, we will completely cover and protect all of your possessions and plaster repair or resurface your walls if need be. If your property been affected by the harsh weather conditions of Western Sydney There's no need to worry! Our highly experienced exterior painters can transform your dull home or commercial building into a spectacular, eye-catching property! Is your roof looking a little worse for wear? Don't let an old, faded roof bring down the appearance of your property, call the professional team at Adsum Colour and we'll bring your roof back to life with our stunning roof painting services! Our Master Painters are all highly trained, qualified and experienced, guaranteeing exceptional services every time! Whether you need commercial painting, residential painting, industrial painting, colour advice or roof restoration, you can count on the reliable team at Adsum Colour! For further information on our wide range of services, simply call one of our friendly staff members today! 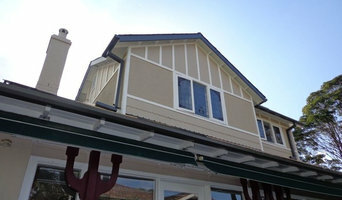 You can also visit us on our website www.adsumcolour.com.au and view our gallery of previous projects. At P&H Coloursmart Painting we are passionate about painting. A great paint job can transform your house into a home or highlight your business to potential customers. We’ve been painting for well over a decade and have experience in all kinds of painting projects, whether it be residential, commercial or government. We work hard to deliver a beautiful paint job that you will be happy with and that will last for many years. We are passionate, skilled, well-organised, clean and honest painters who will treat your house as if it were our own. If you’d like to transform your home or office with a fresh new paint job, contact us for a free quote. Welcome to Cosmetica Painters, We are a youthful company based in Sydney looking to expand in the provision of services to all industries Government, Commercial, Industrial and Private property sectors. Our company prides itself on finding practical and financial solutions for clients and customers alike, offering a friendly reliable and timely service. One off services can be offered as well as long term painting maintenance contracts. Contact us today to find out why Cosmetica has some of the best painters in Sydney.Call us now on 0415 494 610 or email us at cosmeticapainters@bigpond.com. 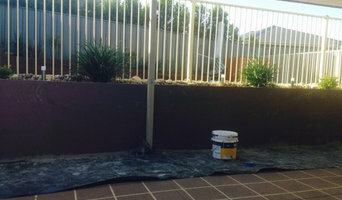 Cosmetica Painter’s services cover domestic painting, commercial painting and industrial painting in Sydney. We understand that each type of painting job has special requirements our qualified and professional painters will offer you advice and expertise in each area. Decorative Solutions is a family owned organisation and has been trading for the last 15 years. In this time we have provided high quality painting and decorating services to a wide range of corporations across a broad scale of different projects. 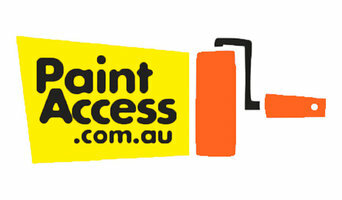 Decorative Solutions are members of Master Painters Australia and multiple award winners! Decorative Solutions have over 40 yrs of combined experience in the industry.